Kristin Goodman is a writer and director of both film and stage. She is an award-winning screenwriter and playwright, honored at numerous festivals including: The Austin Film Festival, The Nashville Film Festival, and The New York Screenwriting Contest. She wrote, produced, and directed the short film Crown Molding; directed and produced the short film Screwed; and directed the improv comedy pilot The Mecky Stecky Show. In 2017, Kristin directed the rolling premiere of Robert Schenkkan’s newest political play Building The Wall produced by Bruce and Maureen McKenna and David Skinner. She most recently worked on the Emmy Winning web series Dropping The Soap and directed the nationally touring comedy show, The Pump and Dump Show. She taught acting at The Chicago College of Performing Arts at Roosevelt University in Chicago, IL, and at DePaul University’s, The Theatre School. Kristin currently lives in Santa Fe, NM, with her husband and daughter where she writes and directs for both stage and film. .
Dyanna Taylor is a Director of Photography whose prominent career in documentaries and features has earned her a Peabody Award, 3 Emmy’s, and the honored Muse Lifetime Achievement Award for Outstanding Vision and Achievement in Cinematography from New York Women in Film and Television. In addition to indie features shot in New York and in Europe, she has traveled the world lensing and directing films, documentaries, and television specials on social issues and environmental/wildlife concerns. Her extensive credits include work for all of the major network and cable media organizations including HBO, PBS, ABC, CBS, Netflix and Nat Geo. She directed and shot the acclaimed documentary Dorothea Lange: Grab a Hunk of Lightning. Recently, as DP, she has made 4 trips to Poland to shoot on location, Who Will Write our History, the story behind the secret Warsaw Ghetto archives, released in mid-2018, and executive produced by Nancy Spielberg. Dyanna just wrapped filming Disney’s live action Mulan in China as their Scenic Unit Director/Director of Photography. 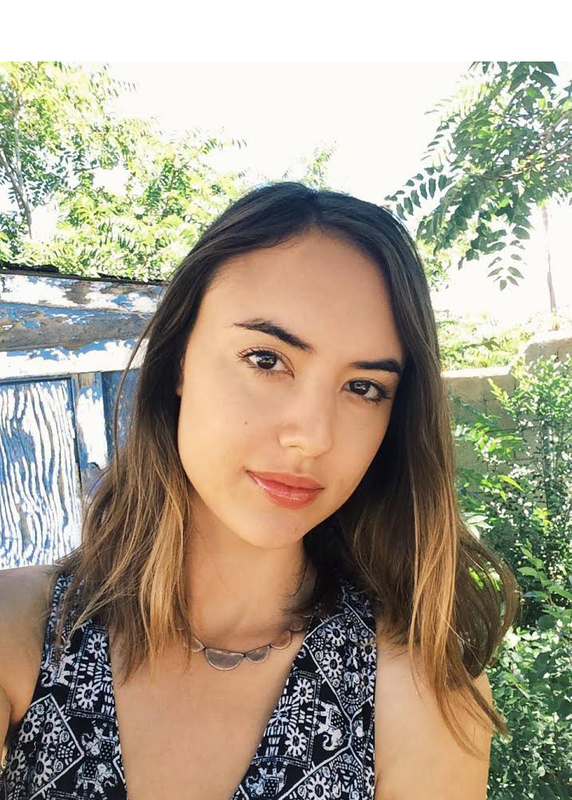 NH/VT-raised, Brooklyn-aged, and now New Mexico-based, Alexandra is also the Creative Director of the Performance Department at Meow Wolf. Alessandra Dobrin Khalsa is an editor/director/producer and Head of Post Production at Film Nest Studios. Alessandra has worked on many television projects, documentary and narrative films, trailers, music videos, and commercials. Most recently, Alessandra was the Lead Editor on the feature documentary "Meow Wolf: Origin Story", premiering at SXSW 2018. She holds both a producer and an editor credit for the feature documentary entitled 'My Mother's Garden', which has become an audience and critic favorite on the domestic and international festival circuit. Alessandra's additional credits include film editor on the CBS/BMG TV Special "Elvis by the Presleys", also released as a longer form DVD along with a companion CD & book; NBC/BMG's "Elvis Lives", intro to The Beatles' "Get Back" & Don't Let me Down"; two videos aired on MTV & VH1 for their newly released album, "Let it be Naked; and VH1's "Vibe Awards 2007". Additional projects have been featured in numerous festivals, received multiple nominations and reviews in magazines and newspapers in both Europe and the US. Her directorial/editorial debut, a film entitled "Anduin & Lorien", received nominations in Best Film, Best Use of Technology, and Best Actress. Alessandra also received honorable mention as "Best New Filmmaker" from the International Festival of Cinema & Technology in London and has spoken on panels about the use of technology in filmmaking. Ashley Watson is a production manager who began her career working for Oscar-Winning producer John Lesher (Birdman, Hostiles). Ashley most recently produced the documentary Atomic Circle, currently in post- production, and is associate producing the upcoming Netflix documentary series Cheer by the creators of Last Chance U. Ashley has worked with top-tier talent (Christian Bale, Michael Shannon, Timothee Chalamet), producers, and crew members throughout her career. In 2017, Ashley wrapped on the acclaimed miniseries Waco, where she assisted the award-winning Dowdle Brothers from pre-production through post. She produced the short documentary “The Mother Road” which premiered at NM Tourism and assisted Dr. Neil deGrasse Tyson for the FOX/Seth MacFarlane production of Cosmos. Ashley graduated from St. Edward’s University in Austin, TX with a BA in Photo Communications. Ashley lives in Los Angeles where she enjoys snuggling with her dog and shooting analog photography when she is not on set.